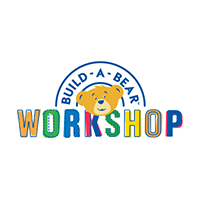 Voin Todorovic, 43, joined Build-A-Bear Workshop in September 2014 as Chief Financial Officer. Prior to joining the Company, Mr. Todorovic was employed at Wolverine World Wide, Inc., a leading global footwear and apparel company, where since September 2013 he served as the head of finance and operations for its Lifestyle Group, which includes a portfolio of iconic brands such as Sperry Top-Sider®, Hush Puppies®, Keds®, and Stride Rite®. From 2011 to 2013 he was Vice President—Finance and Administration of the Stride Rite Children’s Group business, operating in wholesale, direct to consumer and international franchising, and from 2010 to 2011 he was Vice President of the Performance + Lifestyle Group. Prior to his tenure at Wolverine World Wide he held positions of increasing responsibility at Collective Brands, Inc. and Payless ShoeSource.